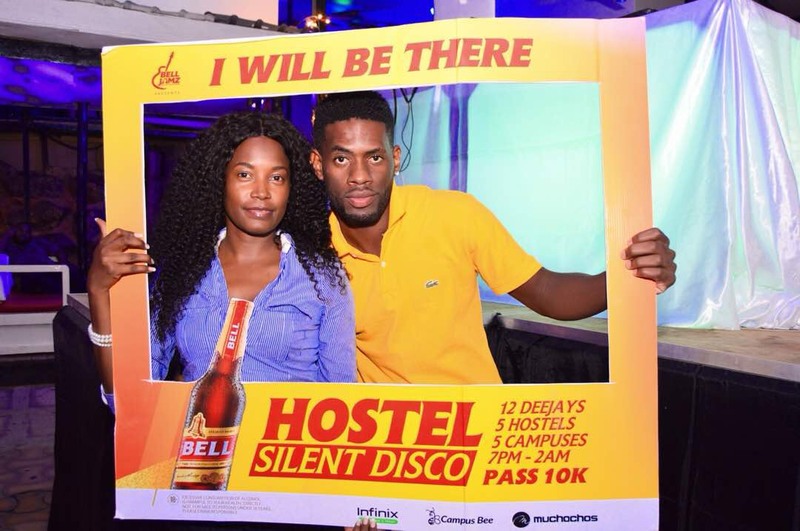 The mood is in the air at Makerere University and the neighboring areas as Bell Jamz brings the first ever Hostel Silent Disco to Nana Hostel, Makerere, this Saturday, September 1st. The highly anticipated event will feature over 12-deejays including DJ Ciza, DJ Dash, VJ Spinny, DJ Xzyl, DJ Slickstuart and Roja among other baddest spin masters around the city. The entrance is just 10k which comes with a bottle of Bell Lager and a pair of headsets, for an event expected to kick off at 7pm and the party continues till 2am. The event will feature activities like free make-up, drinking, as well as jamming to the best music playlists as you tune to the channel of your choice. As we countdown few hours to the first ever Hostel Silent Disco in town, various yummy babes and young looking guys have already confirmed their presence come this Saturday. What is Hostel Silent Disco? 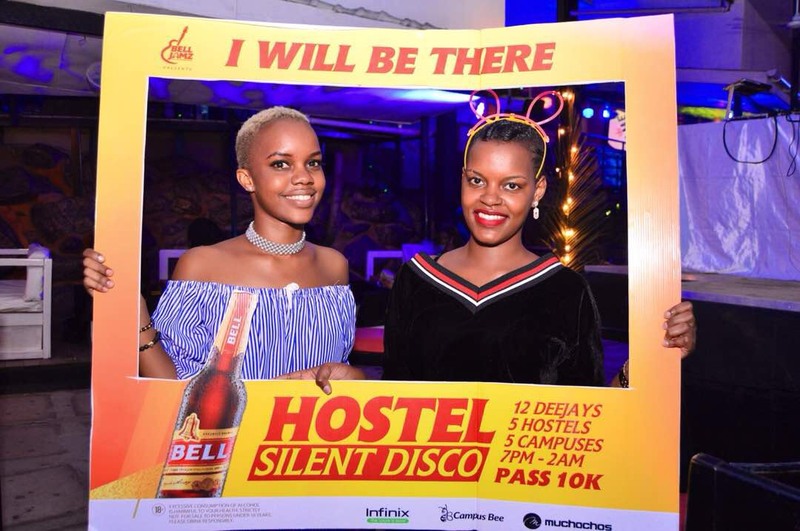 As it celebrates over five years in the game, Campus Bee, Uganda’s biggest university news portal in association with Muchachos are organizing the first ever Hostel Silent Disco throughout this semester. The first edition comprises of 5 events, in 5 different Universities with 12 Deejays playing the hottest music. The first event is going down at New Nana Hostel on Saturday, 1st September 2018 which will be followed by Makerere University Business School, Uganda Christian University, Mbarara University of Science Technology and finally International University of East Africa (Kansanga). Through its music platform ‘Bell Jamz’, Bell Lager will be the premium sponsor of the Hostel silent Disco where you will expect nothing but the best experience. Bell Lager will be giving out several goodies at these events and those who party the hardest will stand a chance to be recruited as Bell brand Ambassadors.